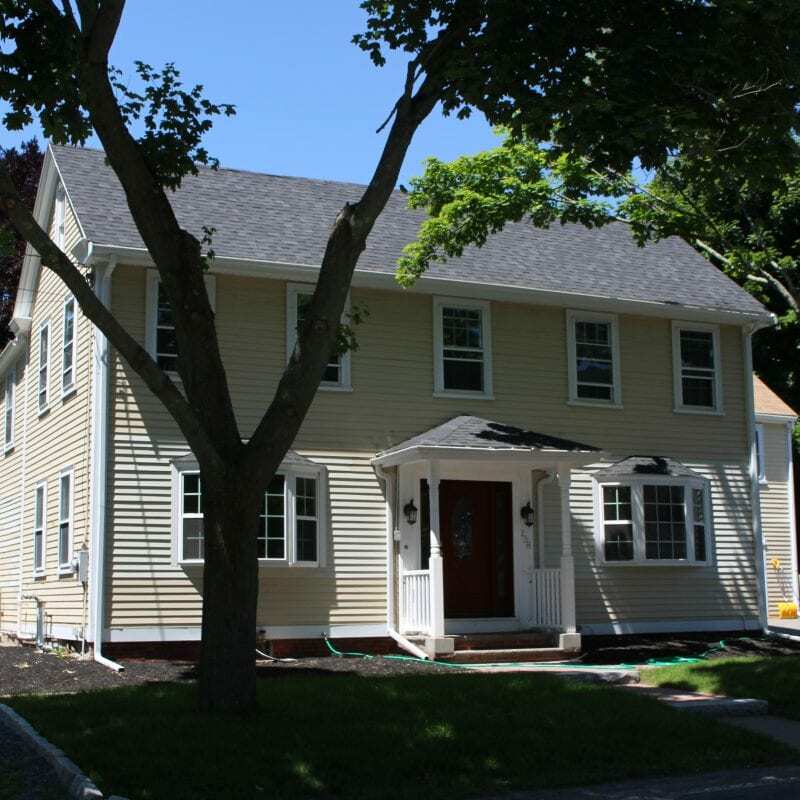 The house at 238 Conant Street has very little left in its structure that dates to the 17th Century. It is of interest because it stands where accused witches Edward and Sarah Bishop lived in 1692. 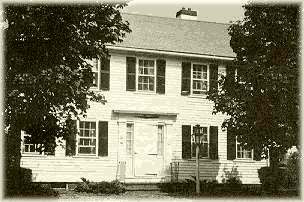 In early guidebooks, this home was mistakenly identified as Bridget Bishop’s house. In 1692, both Sarah and Bridget were married to men named Edward Bishop. It was Sarah and her husband who lived here in Salem Village. Bridget and her husband lived on (what is today) Washington Street in Salem Town. In a 1692 deposition, Reverend Hale from Beverly spoke against “Goodwife Bishop” who was married to Edward, saying she was a moral threat to the Puritan society. Her neighbors thought she was a corrupting influence on the youth of the village. She kept an untidy home, ran an unlicensed tavern from her house, and allowed her guests to gamble and play “shovel-board” until all hours of the night. Reverend Hale never said her first name, and somewhere along the way, Sarah and Bridget became confused in the records. Sarah and Edward Bishop, both in their 40s, were two of the nine people who were accused of witchcraft on April 21, by Ann Putnam Jr., Mercy Lewis, Mary Walcott, and Abigail Williams. A victim of neighborhood gossip for years, largely due to the late-night activities at her home, Sarah was a member of the Wildes family of Topsfield; she was a stepdaughter of Sarah Wildes, who was also accused on April 21 and was executed on July 19. When confronted by neighbors over their behavior, the Bishops were aggressive. Two years before the hysteria, Christian Trask felt bewitched after an altercation with Sarah. She started to have seizures, and her health declined. Goody Trask ended her own life by the very disturbing method of stabbing herself in the neck with a pair of scissors. Sarah Bishop was not charged with witchcraft on that occasion (her father-in-law was the constable, which may have helped), but this event did not improve Sarah’s reputation. Even her husband Edward had commented that Sarah was such good friends with the Devil, she stayed up at night talking with him. Edward Bishop was a skeptic about the behavior of the accusers. Ten days before he himself was accused of witchcraft, on April 11, after a day in court in which John Indian had been questioned and behaved as one of the afflicted, the two traveled back to Salem Village together. Indian began having convulsions on the journey home. Edward beat him with a stick until the convulsions stopped, and made it clear he believed he could cure all of the afflicted this way. On October 7, Sarah and Edward Bishop escaped from Salem jail and thus, escaped execution. It is known they were back from hiding the following January, when Edward was fined for operating an unlicensed tavern. Additional note: Reverend John Higginson of Salem Town had a daughter Ann who married Gloucester mariner William Dolliver, ten years before the witchcraft trials. Dolliver had abandoned his wife after spending all of her money, and she returned to her father’s home in Salem with her children. Ann battled with melancholy for the rest of her life. In June of 1692, Ann was accused of witchcraft. Although examined and jailed, Ann escaped execution, and once again, returned to her father’s home. Higginson arranged for Ann’s care after his death in 1708. She boarded with Sarah and Edward Bishop, fellow survivors of the witch trials, now living in Rehoboth, MA. She lived with them until 1723. 238 Conant Street. Private residence. Not open to the public. The house that stands today has been modernized and has little left from the 17th Century.